Well, here is the moment you’ve all been waiting for. I’ve claimed to have lost 50 pounds but for all you know, I could just be a clever writer working on a character for a book. Take my word that I’m not. 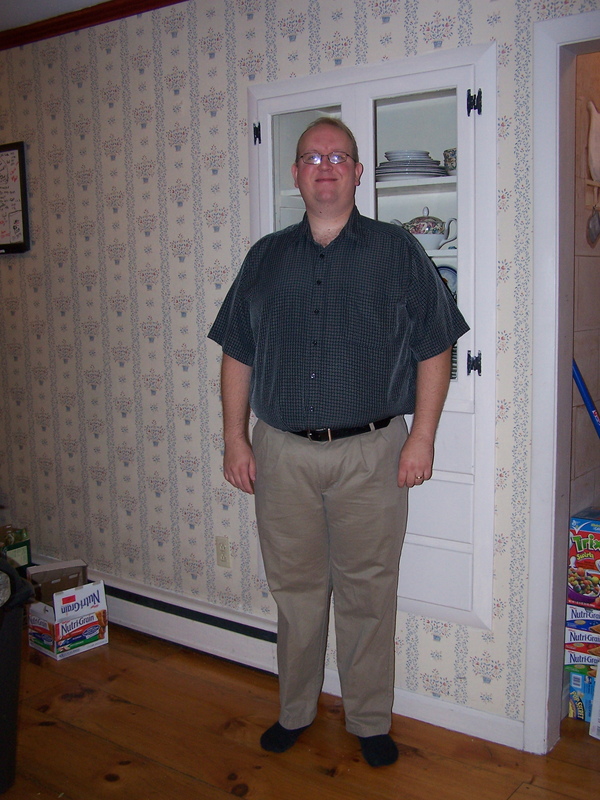 Now that I’ve lost 50 pounds, I’m prepared to show my old and new self to the world. 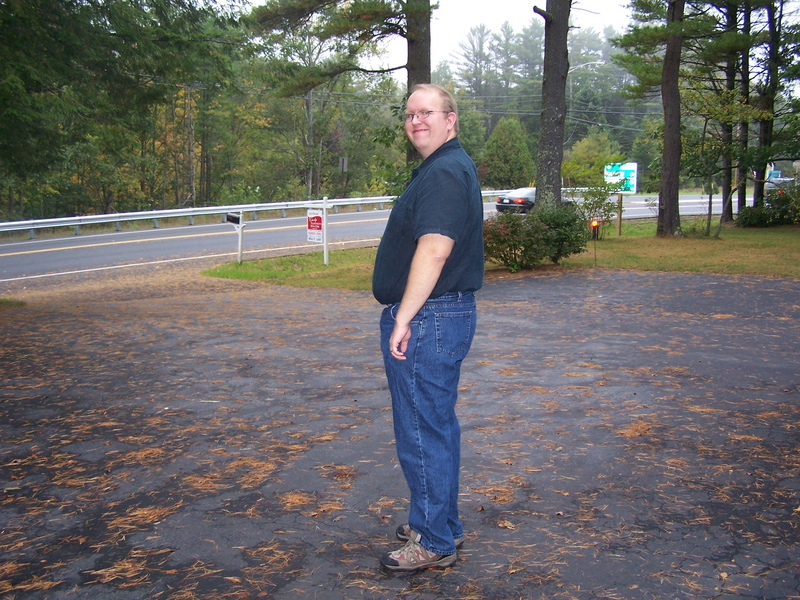 So, without any more delay, here is what I used to look like. 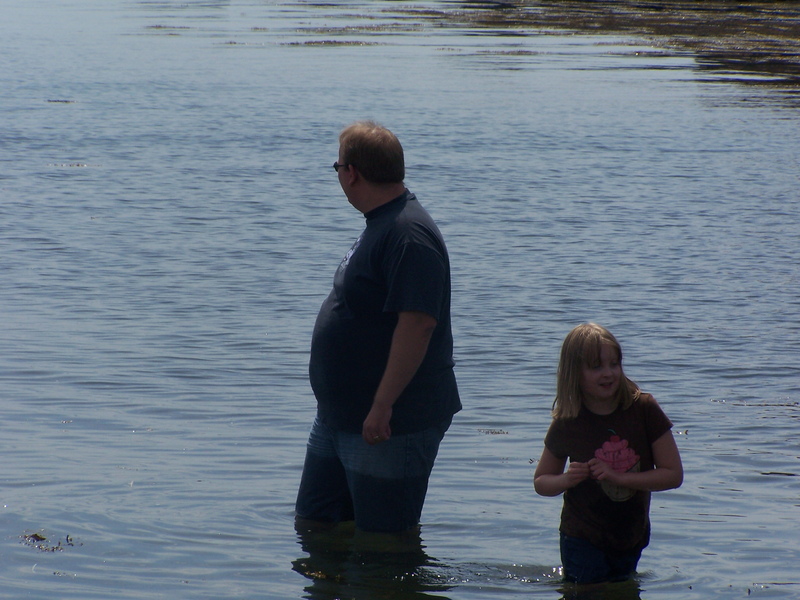 In this profile picture, I’m with my wonderful daughter enjoying the frigid cold waters of Maine on a sunny day here in Maine. Notice the big belly and the fact that I’m doing my best to avoid the camera and showing myself off. The shirt wasn’t on because I was cold, I was covered up because I hated the way I looked. Shortly after I started reading Savor, I went to the Zen Center for the first time. 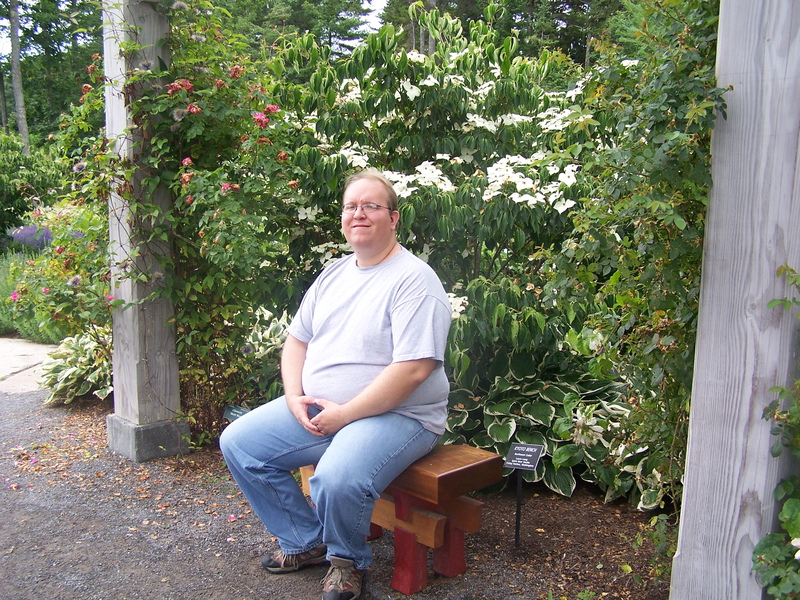 This picture was taken a few days after that initial visit and I had my hands in the mudra position because the garden I was in was extremely beautiful and the only way I knew how to respond to the beauty was to sit quietly in meditation and take it all in. 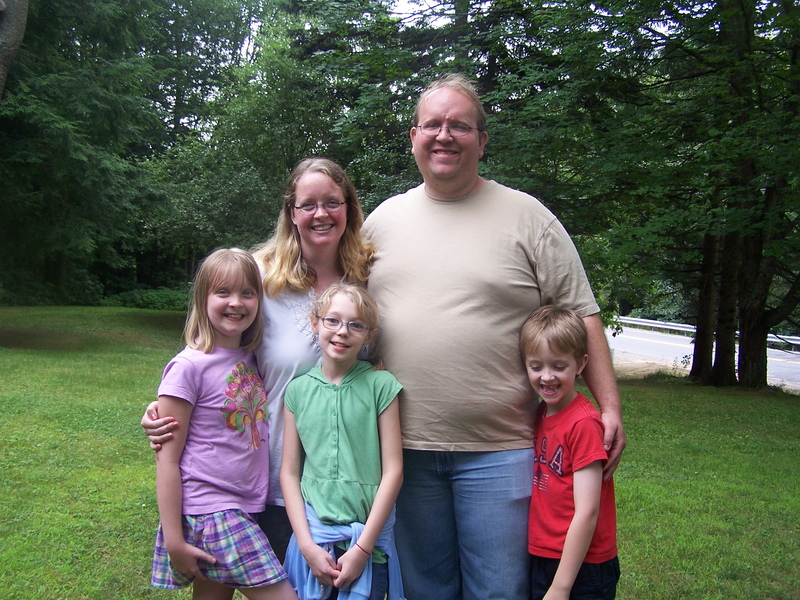 Here I am with my family. My wife, daughter, son and a little girl that we would adopt in a heartbeat if we ever had the chance. 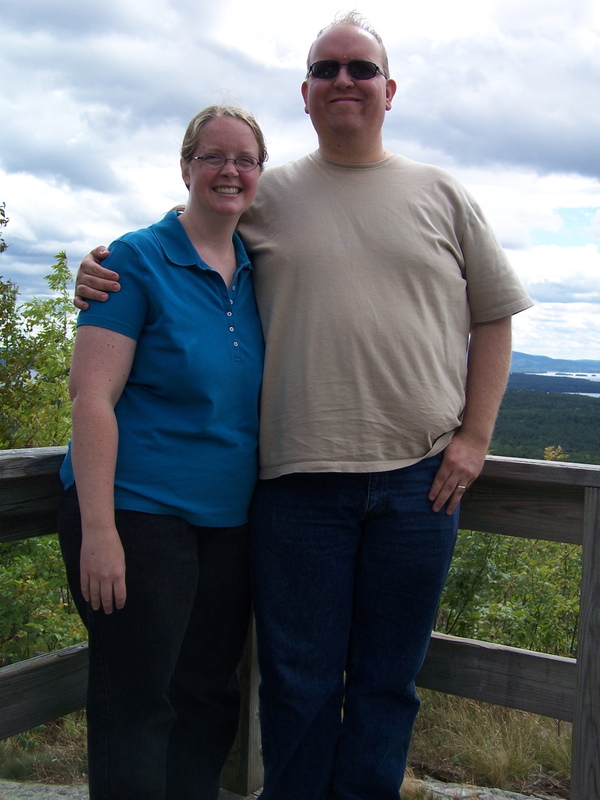 She had come up to Maine to visit with us and this was taken the day she went back to Cincinnati. This was mid-July and I had just finished reading Savor for the first time and was thinking very seriously about what changes I would make to lose my weight. I had started to get the depression under control by this time due to new medication. 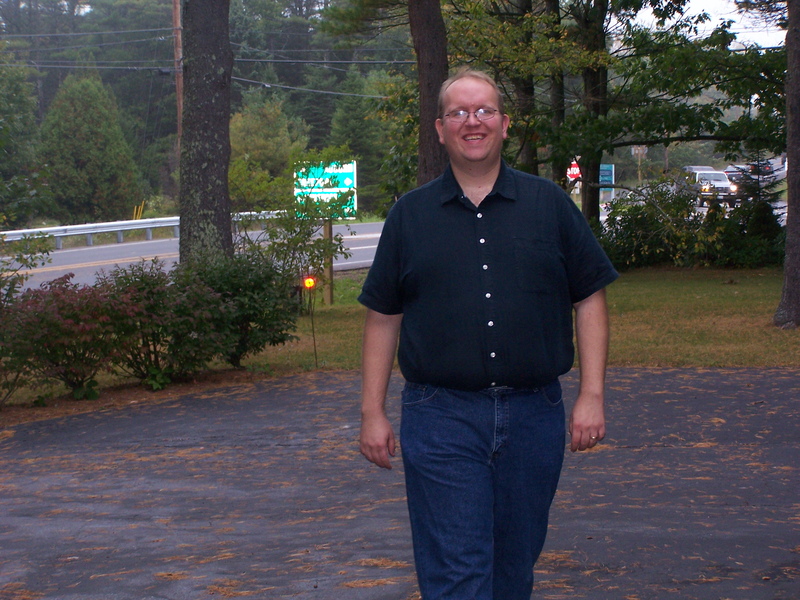 I didn’t really get more pictures taken of me for a while but this one was taken after having lost about 40 pounds. I just happened to be wearing the same shirt as I was in the photo above. Notice how much different the shirt (and I) look. In this picture, I’m loving the fact that I had gotten back an old favorite shirt. It’s the one that inspired this post. 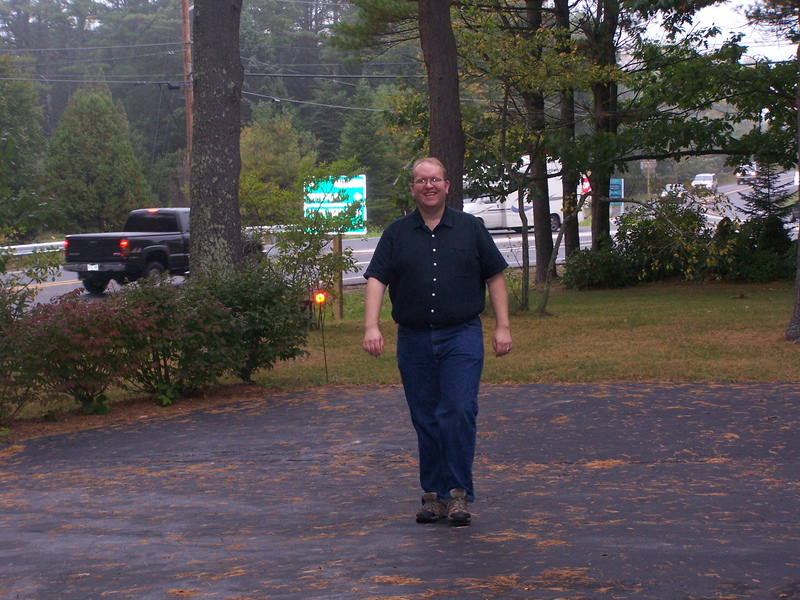 I was getting really close to hitting the 50 pound mark. I was probably at 284 or 285. Here I am from earlier tonight. 50 pounds lost and loving every moment of it. Remember that profile picture of me in the water? Check out the new profile. As you can see, I’ve come a long way and I still have more to go. I want to lose at least 30 more pounds and would love to lose another 50. It’s been an amazing few months here of self discovery and growth. Thank you one and all for your support and encouragement. Every pound has been a small victory and together they all add up to one tremendous one. I couldn’t be happier right now.